Pack Type: Packing are available in pouches & Bags. Processed hygienically under sanitized conditions using fresh henna leaves, the natural henna powder that we offer is enriched with excellent features and properties. The natural henna powder that we offer provides excellent hair nourishment and makes the hair smooth and shiny. 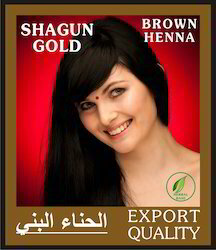 We are actively engaged in offering the finest quality Natural Henna Powder. This is a pure natural Henna powder used for both hairs and Hands. We regularly export this product to abroad. Backed by rich industry experiences; we are highly engaged in manufacturing a premium quality range of Natural Mehandi Powder. As per the changing and variegated needs of our customers, we are betrothed in offering an extensive series of Natural Henna Powder to the market and patrons. Backed by a team of adroit professionals, we are manufacturing and exporting an extensive array of Natural Henna Mehndi.